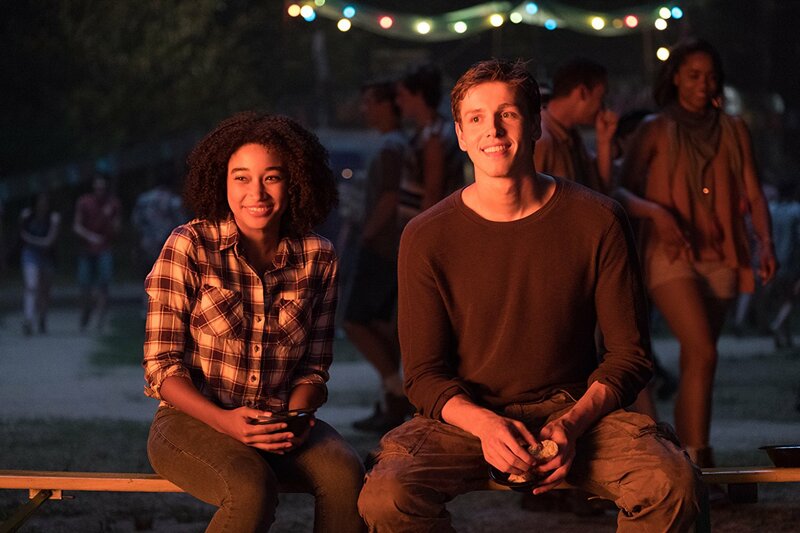 With absolutely no originality and hardly any unique visual style, The Darkest Minds treats the massive drama at its center with no respect. Instead of properly introducing itself and prodding the problems, it throws eggs at its own front door, emptying carton after carton of lame genre clichés with a fastball slinging arm, showing very little care or aim so long as it’s called a strike across the plate. This is not the worst movie I’ve seen this year, yet it might be the most easily forgettable. Oftentimes the second designation is the least desirable. Ruby Daly (Amandla Stenberg) is both as rare and as tedious as her terribly on-the-nose full name. In this future a lot of kids die and the ones who survive are gifted. They are super smart, or harness electricity, or can control movement, and some telekinetics are even capable of controlling minds. Ruby, because she’s a rare gem, is obviously of the last variety. She’s a strong, resilient character, and the film doesn’t really do her complete justice. After all, she’s bound to be wooed by the cute outsider Liam (Harris Dickinson) and eventually tempted by her intellectual compatibility with the revolutionist Clancy Gray (Patrick Gibson). I don’t blame movies like this one for trying to force love in a world that is falling apart – after all, we all want to be wanted – but here it’s so disastrously cheesy that your cholesterol levels will spike higher than your eyes can roll. The Darkest Minds creates this bland, unsalted world through barren exposition and tedious dialogue. And the film is quick – quite thankfully – because it doesn’t need to preheat or roast for hours on end. It’s of the microwavable variety. Nutritionally depleted, hot enough to burn a tongue and cold as ice at its core, offering very little value to stimulate the mind or the heart. There are big issues in play throughout this movie (like racism, capitalism, authoritarianism, fear-mongering and the aversion to change) but they’re all bagged and delivered like a Happy Meal, packaging its timeliness with a junk toy and a consumerist approach in mind. 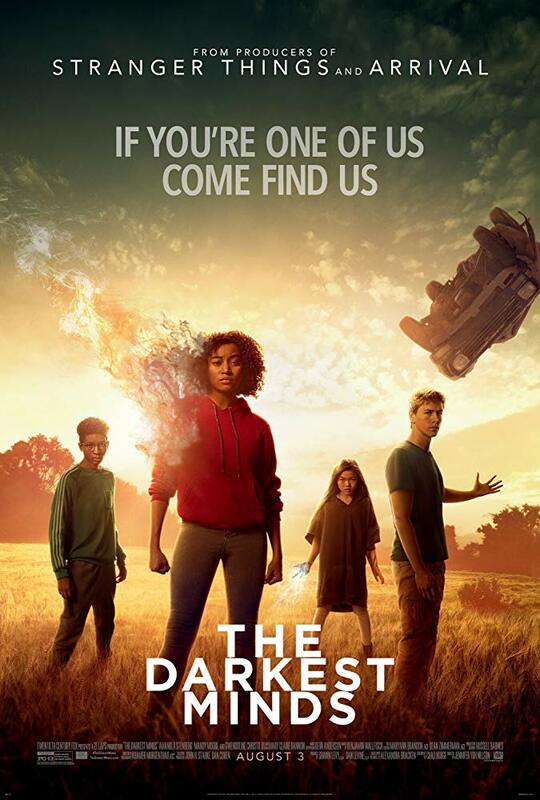 The Darkest Minds has heart, but contrary to the title, brings very little intelligence or earned drama to the table. What disappointed me most was that these leading performers deserve such better material to work from. Stenberg is going to be a towering figure of her generation if she ever finds the right starring role, and Harris Dickinson will undoubtedly be a main-staple for years to come. If you saw him in last year’s Beach Rats, playing a confused and sexually frustrated Brooklyn youth facing fears and stigmas in Coney Island, you know he has the dramatic chops to be more than the punching bag he plays in this dystopian YA adaptation of Alexandra Bracken’s book series. 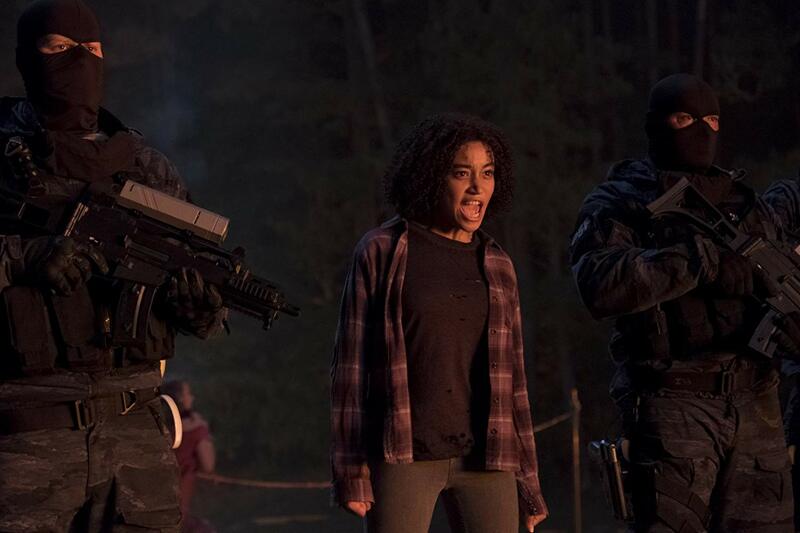 The Darkest Minds has very little tone, which suggests that it doesn’t have much taste, and it makes for a movie experience that’s as befuddling as it is infuriating. Might as well skip it. Not much here to see.